While the old adage, “You get what you pay for,” usually rings true, sometimes what you can get for free is pretty good. Luckily, many people sympathize with bloggers who don’t have the investment to buy tools to help improve their effort. They have created some awesome free tools that can take your blog to the next level. 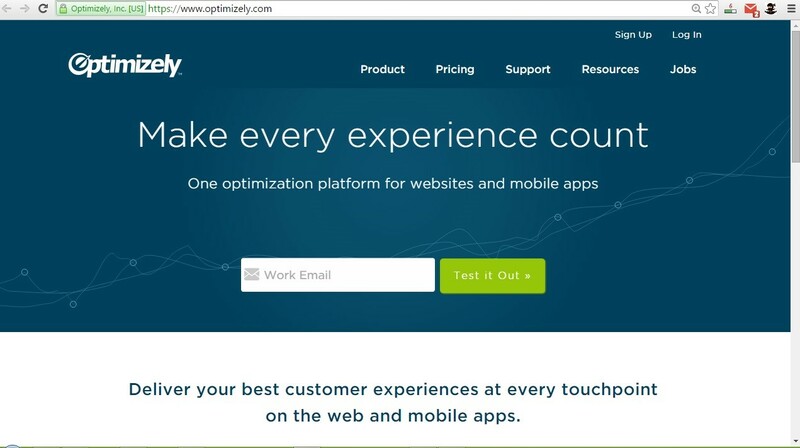 Many people associate Quicksprout with Neil Patel, a powerhouse content creator. But it also is an awesome content analysis tool. You put in a URL and the analysis will detail the most-shared posts for that domain, as well as a lot of other juicy information. I love it for competitive analysis and seeing what my fellow bloggers are writing that their audience is enjoying. Many people underestimate the power of headlines. The fact is a headline can easily make or break an article. So how do you write better ones? 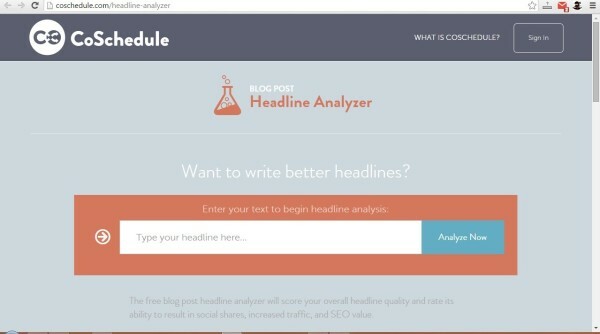 CoSchedule Headline Analyzer offers a good solution. All you have to do is put in your post title to receive an overall quality rating on a scale of 0-100 and a rating on ability to result in social shares, as well as individual metrics such as the headline’s emotional impact. The more emotional a headline is the more likely it is to get clicked. Lastly, Headline Analyzer will show you how the headline will look in search engine results pages and in an email. This Gmail add-on shows your contacts’ first name and social profiles, allowing you to leave notes and follow them on social media. If you spend a lot of time in email like me, you’re going to want this as a way to connect with influential bloggers better and stay in touch with them on social media. I follow all my blogger connections on LinkedIn, Twitter, and Facebook. You have heard of A/B split testing, right? The scientific principle is to separate your audience into two random groups and show something different to each group to see which gets a better response. 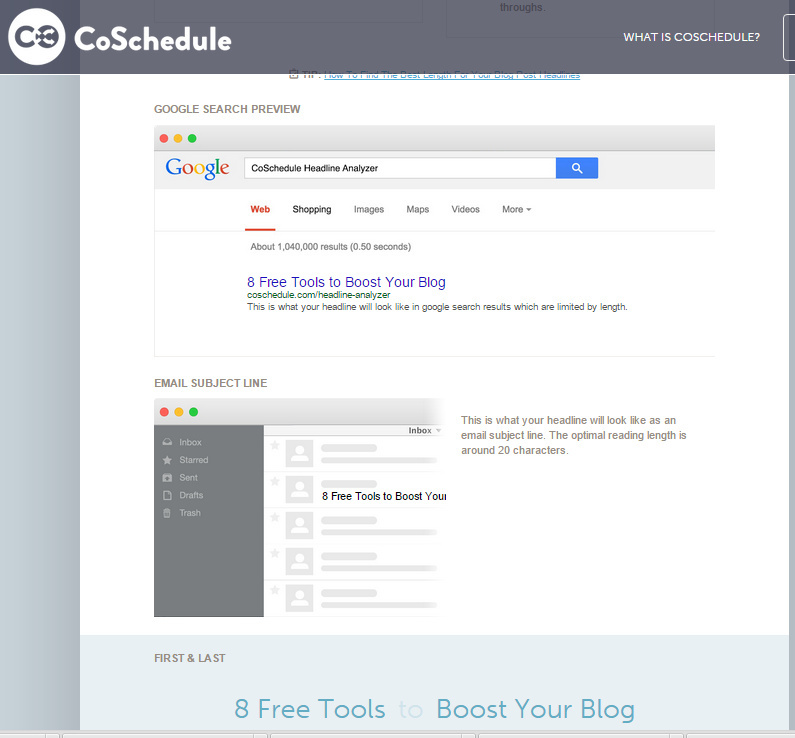 For example, you could use two different landing pages to see which converts better. For this, I like Optimizely. It has a simple user interaction and is quite powerful. You can be up and running your split testing in a matter of minutes. Who hasn’t heard of Buffer and its killer social blog? 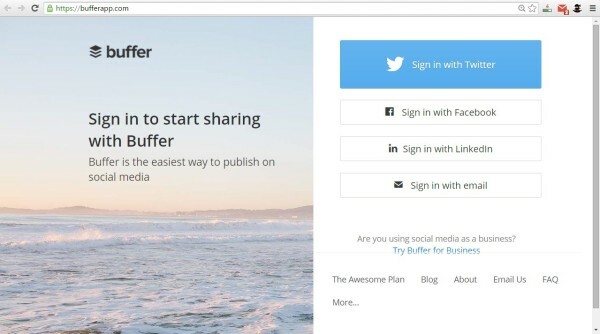 If you’re trying to be more active about promoting your blog on Twitter, you definitely need to sign up for a free Buffer account. 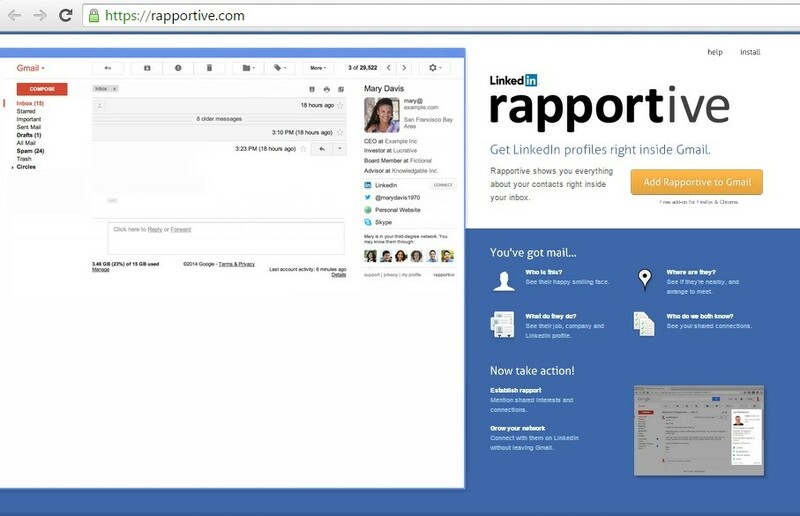 Buffer helps you fill your Tweet repository as you scour the web. It provides Twitter analytics to help improve your reach and show what tweets are receiving the most traction. Oh, and if you’re out of ideas, they have a bunch of cached tweets you can use as well. 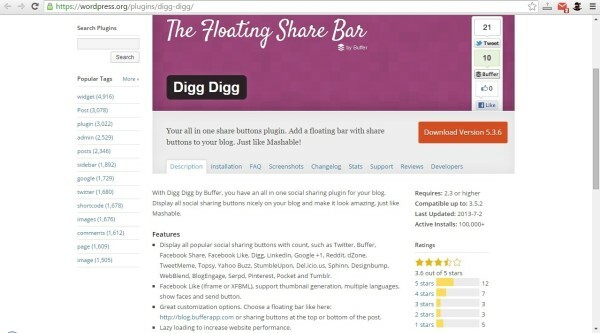 A simple but elegant social sharing plug-in, the Digg Digg bar follows as a reader scrolls down the page. It allows the reader to share the article on Facebook, Twitter, Pinterest, and a bunch of other social platforms. While many similar plug-ins exist, I like Digg Digg because it appears to be the most functional and for me, the vertical scroll is a must. 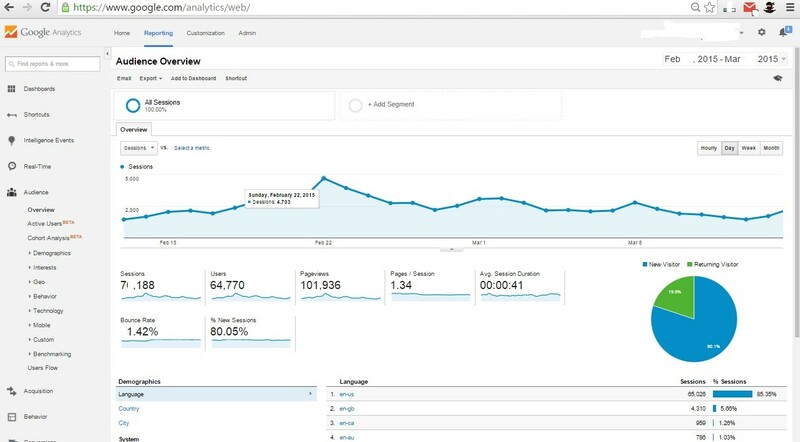 This is Blogging 101, but you always need to use Google Analytics. 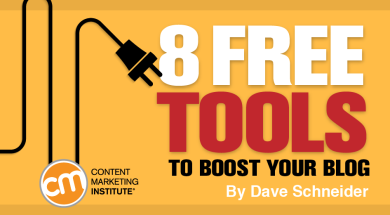 Out of all of the free tools, it is by and large the most valuable. How else are you going to know how many visitors your blog is getting? Or how they find your blog? And what posts they are reading? It is easy to set up and has an awesome historical view. Everybody wants their websites to load fast. The problem is that the onus isn’t always on the viewers and their Internet speed. Sometimes, the webmaster has to work to make the website’s performance faster as well. 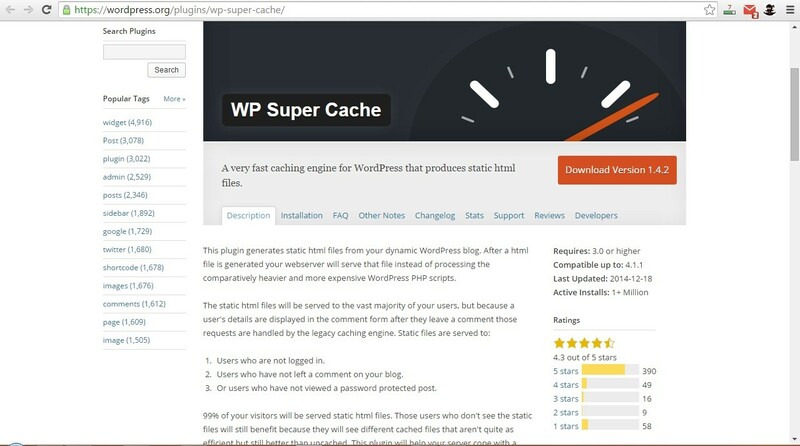 That’s where a plug-in like WP Super Cache comes in handy. Among other things, this plug-in will store static content (content that doesn’t change often), which pre-loads when the visitor comes to check it out, drastically reducing load time. Without a doubt, you should consider many of the paid tools as well. That said, I always like to see if there is a free option available before shelling out the moola. David Schneider is the cofounder of NinjaOutreach, an all in one prospecting and outreach tool which was created to streamline the process of connecting with influencers. He can also be found on Twitter @ninjaoutreach and his business blog SelfMadeBusinessman.